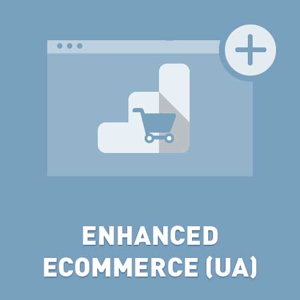 Plugin helps you to use Enhanced Ecommerce using dataLayer (Google Tag Manager). The unregistered version has 15 days trial period. Try it before purchase. + added new feature - select value for Revenue parameter from the list "Order Total, Sub Total, Profit"
+ added new parameter 'Use the name of store for parameter 'affiliate''. Upgrade plugin if you use it. link to our forum link. - fixed bug "wrong product ID for impression tag for product variants from Grouped product". + added support discount codes for 'purchase' tracking code. + performance optimization (using direct SQL command for getting manufacturer and category). + fixed bug "Google Pagespeed Tools" moved tracking code to botton of the page. - fixed bug. Some of stores has such error message "System. InvalidOperationException: The connection was not closed" (3.80-3.90). + added new feature "Checkout labeling". You change order and name of each step of checkout labeling. + cosmetic fix if you use button AddToCart in another format. + added support products from nop-templates Jcarousel plugin (productImpressions). - fixed bug for nop 3.90.